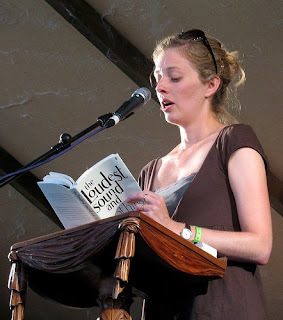 CLARE WIGFALL has been declared the winner of the 2008 BBC National Short Story Award, with Jane Gardam the runner-up. Wigfall will receive £15,000—the largest award in the world for a single short story—for her story “The Numbers” from her début collection, The Loudest Sound and Nothing (Faber and Faber, 2007), a collection of disturbing and darkly provocative stories. (“The Numbers” is the first story in the collection.) This collection was recently longlisted for the 2008 Frank O’Connor International Short Story Award. Two-time Whitbread Prize-winner Gardam won for her short story, “The People on Privilege Hill,” from a collection of the same name. The other writers on the shortlist include Adam Thorpe (“The Names”), Richard Beard (“Guidelines for Measures to Cope with Disgraceful and Other Events”) and Erin Soros (“Surge”).